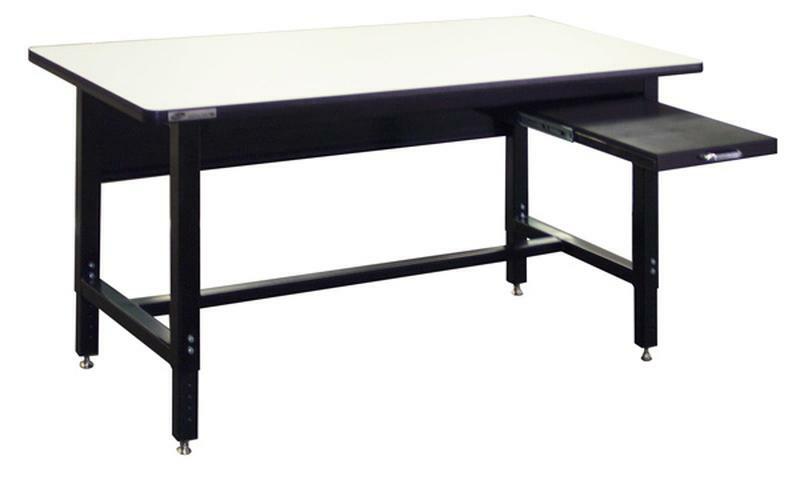 Work Height 26" - 31"
This plastic laminate top desk sits on the 1005 series full welded workbench frame which offers 5" of height adjustment. All units include the leveling glides, rear vanity, and the 13" wide x 20" deep pull-out writing surface that will mount on the left or right side of the desk. Other accessories such as drawers and overhead structures can always be added to this style desk at any time.